This medium power image shows the optically clear cells with an alveolar and short trabecular pattern with a delicate vascular network. 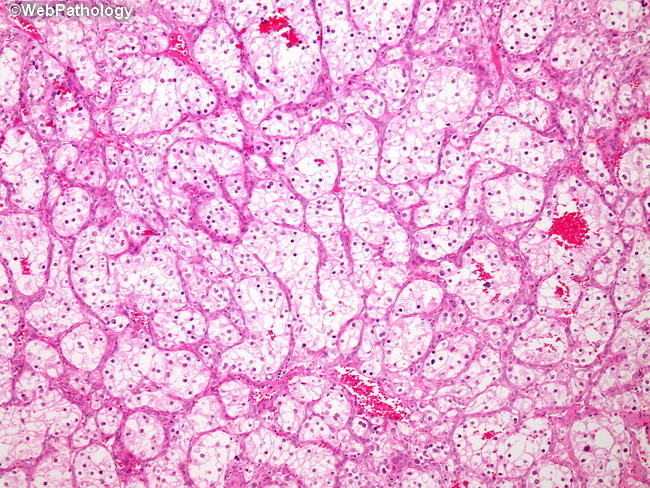 Besides optically clear cytoplasm, some tumor cells may show eosinophilic granular cytoplasm. One may also see hyaline droplets, hemosiderin, and Mallory-like bodies.